12 October 2015 – Singapore Airlines announced today that Amsterdam will be the inaugural destination for its new-generation Airbus A350 fleet, with services expected to begin by April 2016. The Airline has 63 A350-900s on firm order, the first of which is due for delivery in January. Prior to the introduction of Amsterdam services, the aircraft will be operated on select Jakarta and Kuala Lumpur flights on a temporary basis, for crew training purposes. Additional A350 destinations are to be announced in the coming months. “We are very much looking forward to the arrival of the new A350s which will be fitted with our newest-generation cabin products, providing more comfort to our customers. This includes new Business Class, Premium Economy Class and Economy Class seats, and the world’s most advanced in-flight entertainment system,” said Senior Vice President Marketing Planning, Ms Lee Wen Fen. 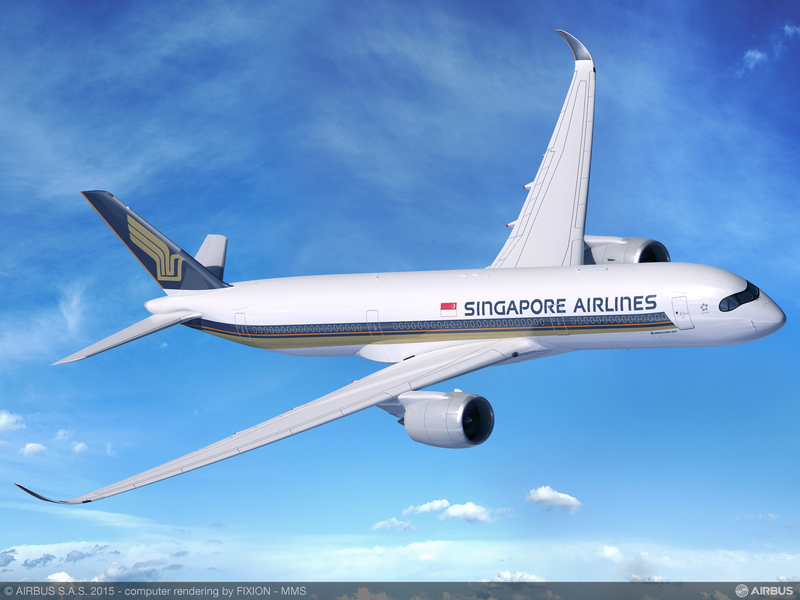 Singapore Airlines expects to take delivery of 11 A350-900s in the aircraft’s first year of operation. In addition to the 63 firm orders, the Airline has purchase options for 20 additional A350s.